I am starting a large garden this year. I have limited space in basement to expand for additional lighting to accomplish this indoor and will need to think of succession planting methods and early season natural sun outdoors. Garden will be raised bed no till for a goal of feeding / canning for a 4-6 person family that will be built from ground up this season. So need to have this either so cheep and effective it can be torn down at time of need or something that can be taken up and put down at least more then one time. I'm not sure if my greenhouse fits your parameters. I personally have the opposite problem. 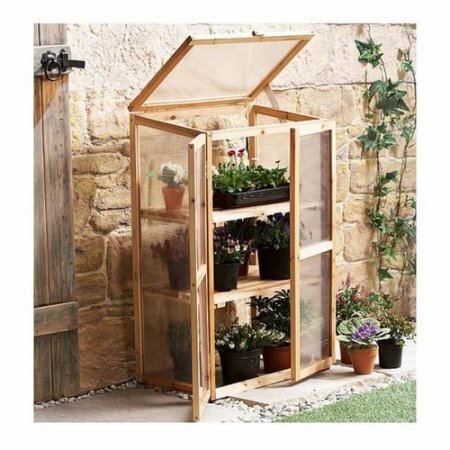 I use this small greenhouse to keep the rain off in the winter. If wind is not a factor, in your situation Psy, I think I would opt for larger hoop structures with heavy plastic cover, that could if needed be set up and taken down as needed. I think you could easily foster more "neighbor friendly appreciation"of the veiw, just by keeping things neat and bribing with small tokens of the final harvest. Do you get cold enough to need to plan for heat? Like Skye suggested I would think row covers or low tunnels. 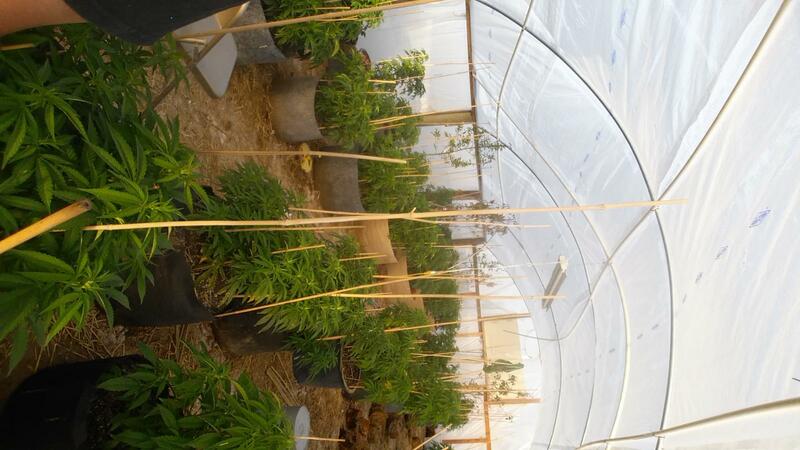 We built a kind of redneck cross between a low tunnel and a green house for our crops. But we have to use them in the summer to protect against wind, and rain, as well as to extend the season. They are 2X6 frames for the raised bed, and come out to about 4'X8'. The roof's frame was scabbed together with 2x2's. They have a polly panel roof and clear drop cloth for the ends and sides. The side have a board attached to the bottom (2x2, attached with staples and rolled in the plastic). For access you just lift the side up and place it on the roof. During heavy winds we will screw the board at the bottom to the frame to keep it from flapping like a sail. The roofs are also set to drain into a gutter that dumps into a 32gal Rubbermaid garbage can at the low end of the tunnel, and then we use it to water with. But that part of the setup has to removed for winter as it wont handle the snow load. Nice little design. I like it. Could be scaled up. Did you make it and follow plans for it ? Yes we have times in negative digit colds. 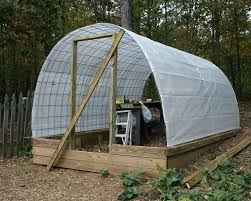 I’m concerned about price when I go up to a hoop house but I’d it can be easily set up and taken down I’ll maneuver the funds to get it done. I bought it as a kit, for around $50. My problem with these is they come with panel of a corrugated thin plastic. After the first windstorm blew out 2 sides and the doors disintegrated, I took it apart and replaced the panels with acrylic sheets. I also installed a secure hook lock so the door cannot open unless I open it. So add about $100 by the time I got done. 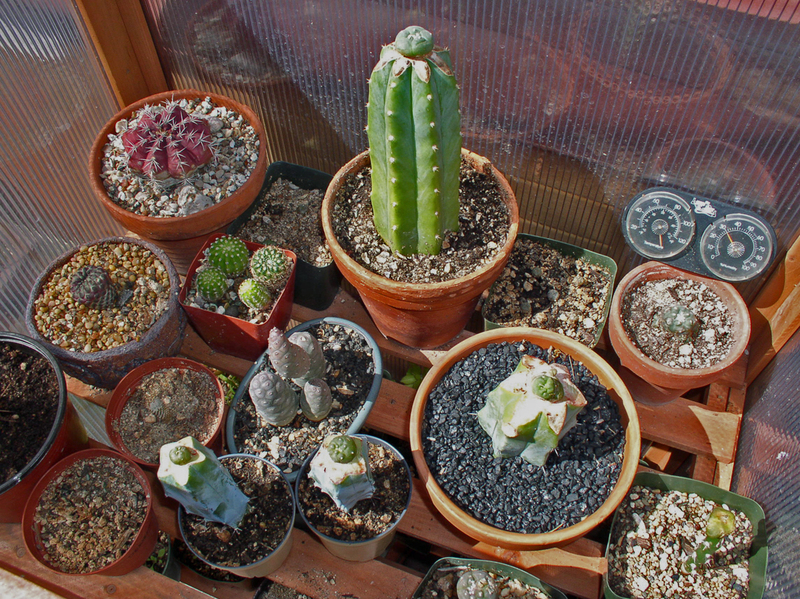 some day i will have a green house . 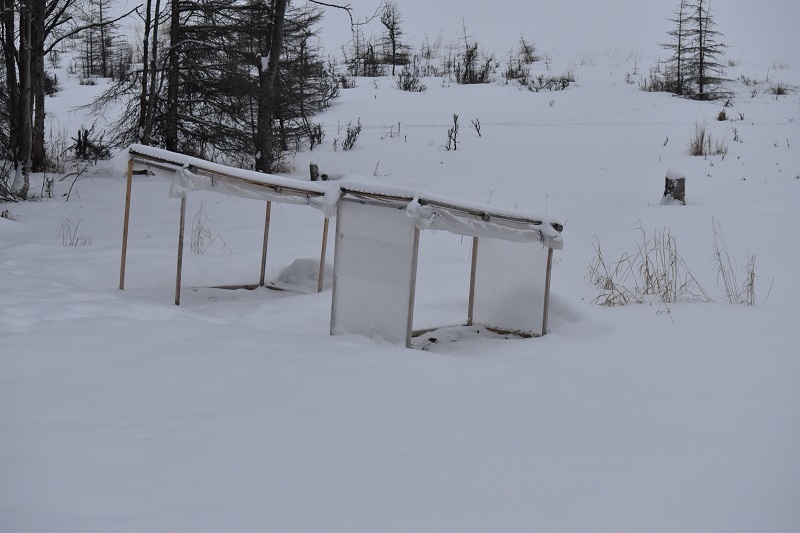 but in mean time buy a hog panel on sale at farm store for $15 ,stake it out in an arch add some heavy duty clear plastic . They are not a bad way to go. the fancy Juthro way . Thanks for the complement brother. But I should be clear, that's its just what I want to build, and not what I have. They are very nice unit for amount of money they cost IMHO. I understand. Pretty much the same reason I haven't gone that route myself, yet. My truck only has an 8' bed, and I don't own a trailer. Having to rent a bigger truck, or a trailer raises the price and effort required by quite a lot. But if the right deal came along, I would go for it.